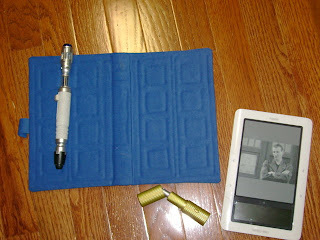 Let's face it: Your e-reader is a bit like a TARDIS. It's a lightweight piece of technology that holds thousands of books. Ergo, it's bigger on the inside. With e-readers dropping in price and becoming more ubiquitous, this may be the year that you give (or receive) a Kindle or a Nook for Christmas. 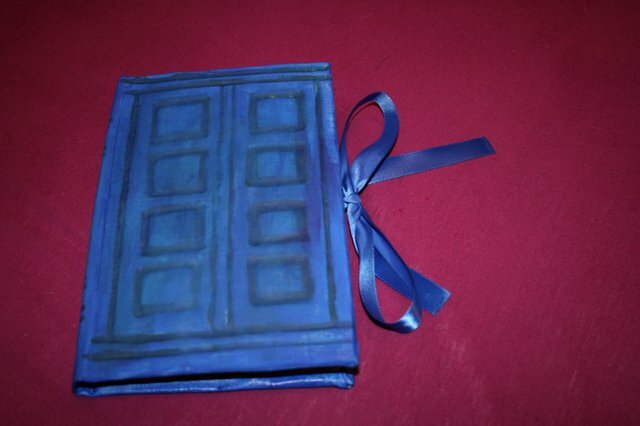 So why not wrap it in a familiar blue telephone box? 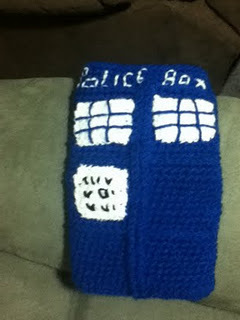 The Internet is full of instructions for knitting a cover, or crafting it out of fabric and old books. 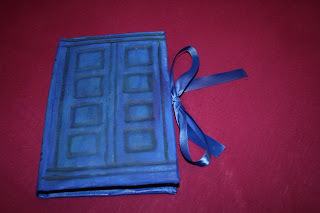 And non-crafty types will also find a few covers available for purchase. 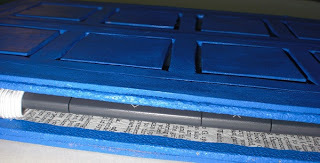 Eveywiechert made this Kindle cover from an old book and a felt piece. Instructions are here. Keeperofqkeys knitted this cozy for the Nook or Kindle by adapting Swallowed by Sky's pattern for TARDIS socks, which is available on Ravelry. 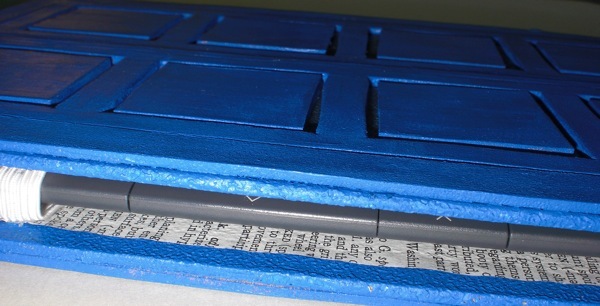 This Kindle cover is made by re-purposing an old notebook. Emilexicon has step-by-step instructions. 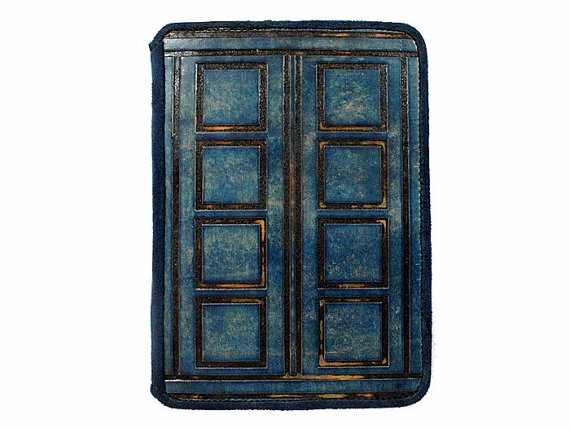 Etsy seller joevleather has a lovely Kindle cover styled to look like River Song's diary. It's sold out, but perhaps your fervent email pleas will move him/her to make another one. 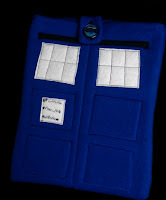 Another etsy item, this one an iPad cozy from MyFunkyCamelot. This crafter has tons of Doctor Who-inspired merch, including Adipose iPod covers and Dalek wine bottle covers and skirts (! ).